As a number of you know, I will be offering a Glorious Gouache workshop coming up in a few weeks time. I wanted to give you an opportunity to register with a small non-refundable deposit of $25. The full workshop price is $90. You can pay the balance of $65 at the workshop. Limited number of seats, so register soon. Upon registering and paying the deposit, you will receive a full materials list and more info about what we will be painting. I hope you are as excited as I am for this workshop! 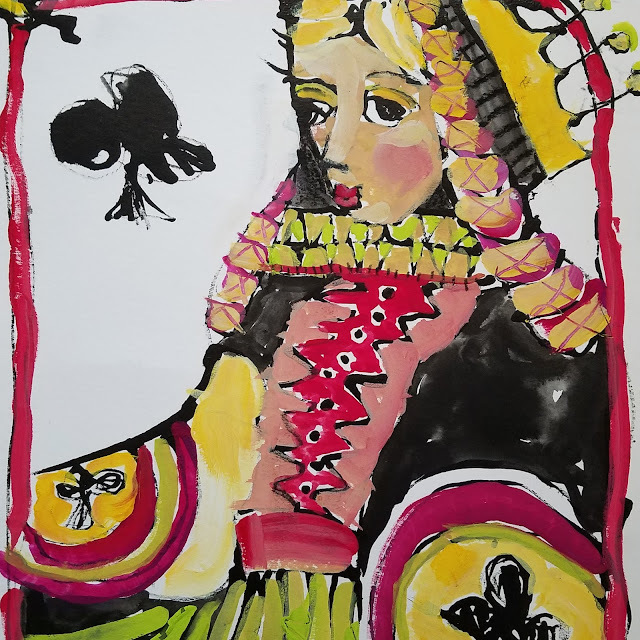 For those of you who attended my Open Studio last November, remember this Queen of Clubs I painted in gouache and ink with my left hand?? 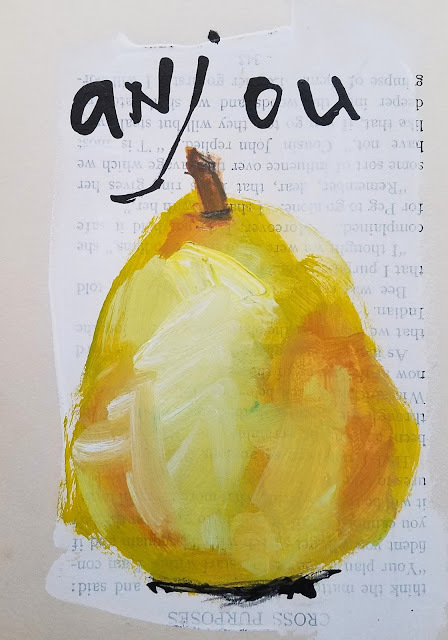 An example of one of dozens of pears I painted with gouache in my vintage sketchbook. FEEL LIKE PAINTING THIS SUMMER? With summer upon us there are a very few openings in my weekly classes at Riley as folks take their vacations. The commitment is for a month of classes only. No drop-ins at this time as the classes are generally full up. 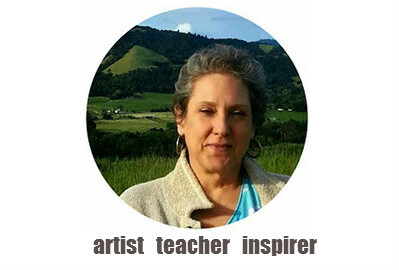 So if you are interested in increasing your painting skills while having lots of fun doing it and meeting some wonderful friendly artists, consider signing up.